Use it easily and quickly and eliminate the necessity of removing rust with a wire brush or other mechanical means. It dissolves any surface rust created over time, but also created from rain, moisture, and salt air, making surfaces ready to be primed and painted. Removes rust from metal doors, railings, car and boat sheet metal, flatbeds of trucks and of agricultural vehicles. 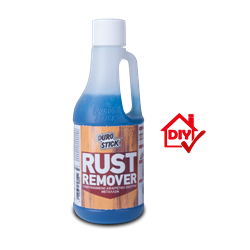 Effectively cleans industrial and agricultural tools, chains and padlocks, pliers, cutters, scissors, screws, nuts, and other tools that have been affected by rust. Quickly cleans rust stains from tiles, natural stones, and exposed concrete rebars (steel reinforcement).